Can Stock Value Be Negative? A stock's price can fall very low, but it can never be negative. The stock market is a dynamic and vibrant arena for both casual and professional investors alike. Although there are countless stories of riches being made in this marketplace, even stocks that are relatively stable carry risk. As an investor, it is important to understand that the value of a stock is capable of falling to very low levels - even zero. However, they can never reach a negative value. While losing your investment is certainly not a favorable outcome, you will never need to pay additional fees for ownership or declining value. Although stock values tend to fluctuate greatly, a stock can never have a negative value. No matter how complex the stock market may be, stocks simply represent shares of ownership in a company. Whatever investors perceive the value of the company to be, that determines stock price. When investors see the value as being very low, the price will fall, sometimes to $1 or less. 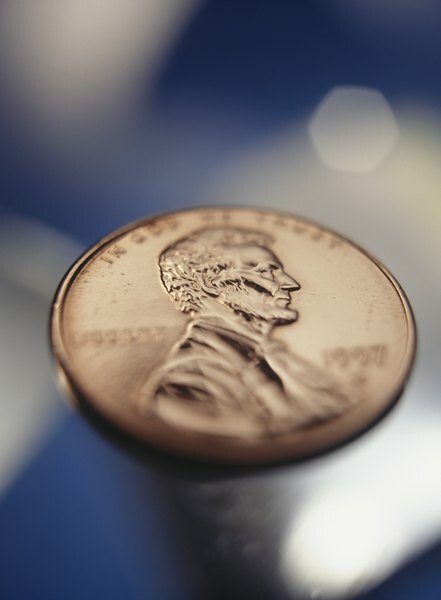 Stocks with very low price are known as "penny stocks," and are particularly volatile. However, a stock can never fall to a negative value. A value of zero indicates that no investor is willing to buy the stock, no matter how low the price – essentially, that the corporation has no value. A company's stock price is likely to sink to its lowest levels if the company goes through bankruptcy. In a Chapter 7 bankruptcy, a business immediately ceases operation and their non-exempt property is sold in order to compensate creditors. Stock can no longer be bought or sold at this point. In this situation, stockholders will be last in line to receive compensation behind both secured and unsecured creditors. The possibility of a stockholder receiving zero compensation for the stock they hold is real. If funds are not available to fully pay off creditors, stockholders will receive zero compensation for the shares they hold. Effectively, their stock becomes worthless. When a publicly owned business declares Chapter 11 bankruptcy, it is possible that their stock can continue to be traded. That being said, this is an extremely risky practice. It is quite common for equity shares to be cancelled when a business reorganizes as part of a Chapter 11 filing. With that in mind, it is very possible for a stock to fall sharply in value during this process. The primary difference between these two forms of bankruptcy is as follows: Chapter 7 bankruptcy immediately terminates market trading, while Chapter 11 bankruptcy allows for shares to continue to be bought and sold at the risk of the investor. A 'loss' in the context of stock investment is a term that should be applied specifically to a scenario in which an investor sells a stock at a price lower than that which they purchased it for. Given the fact that stocks can swing sharply in value as a result of fluctuating investor sentiment, a loss is only realized at the moment shares are sold for a reduced price, not if they temporarily dip below the purchase price while still within the ownership of the investor. Regardless of the current value of a stock, investors can still reap profits if they sell their shares at a price that is higher than their original purchase price. As mentioned previously, 'profit' should only be considered at the moment of sale, not during any price swings occurring during ownership of the stock. Stock sold at a loss, or even if its value falls to zero, can still have positive value for investors. This is because losses from stock market investing can be claimed as capital losses for income tax purposes. Capital losses offset capital gains, which are profits from stock and some other investments. Capital losses can be used to ensure that all gains are kept in context and are taxed according to net investment profit rather than merely the earnings from high performing stocks.